A litter of baby foxes was found in the window well of a home in Ridgeview Heights. Animal rescue officers were able to reunite them with their parents. 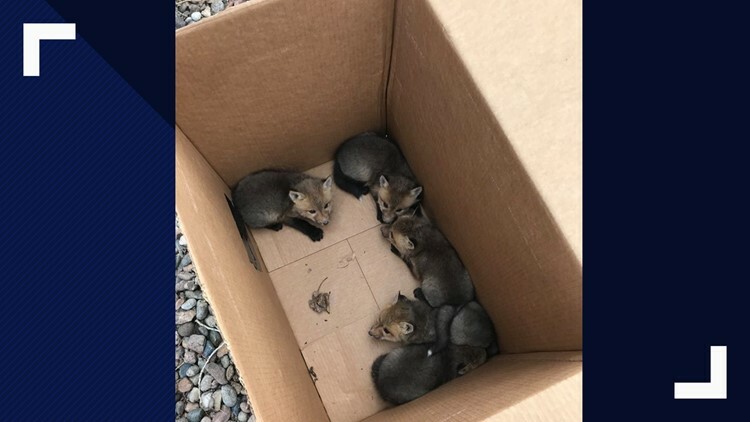 BROOMFIELD, Colo. — A cardboard box and just over an hour was all it took for Broomfield animal control officers to rescue several baby foxes from a window well. Officers received the call from a homeowner in the Ridgeview Heights subdivision near West 13th Avenue and Nickel Court at about 10:20 a.m. on April 1. "They saw [the foxes] in the window well. 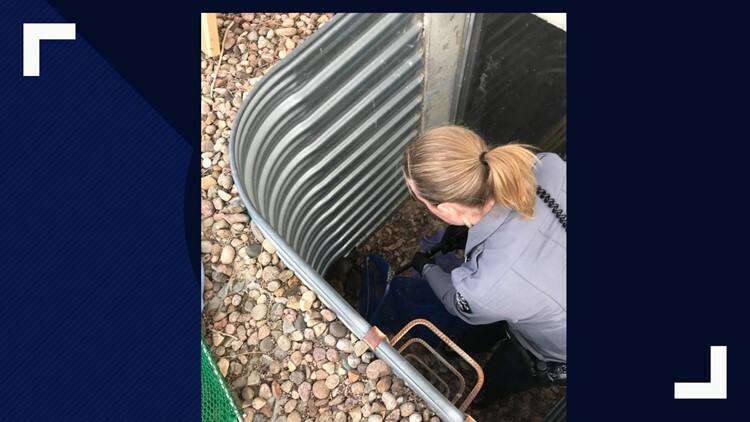 They were stuck in there," said Broomfield Animal Services Officer Donna Shepherd. The two responding Broomfield animal control officers contacted Greenwood Wildlife Center to get advice on how to safely remove them. They then lowered a cardboard box into the window well, Shephard said, and were ultimately able to rescue the kits. The officers then placed the box on the property, and the homeowner said the next day that they'd been reunited with their parents, Shephard said. Foxes make their homes by digging burrows, called dens, in the ground. They are social creatures who like to stick together, according to Live Science. Foxes tend to hunt at night and can run up to 45 mph. They are among several animals, such as coyotes, raccoons, owls and more, that call Broomfield home. Residents who encounter wildlife should call the Broomfield Police Department or Colorado Parks & Wildlife.